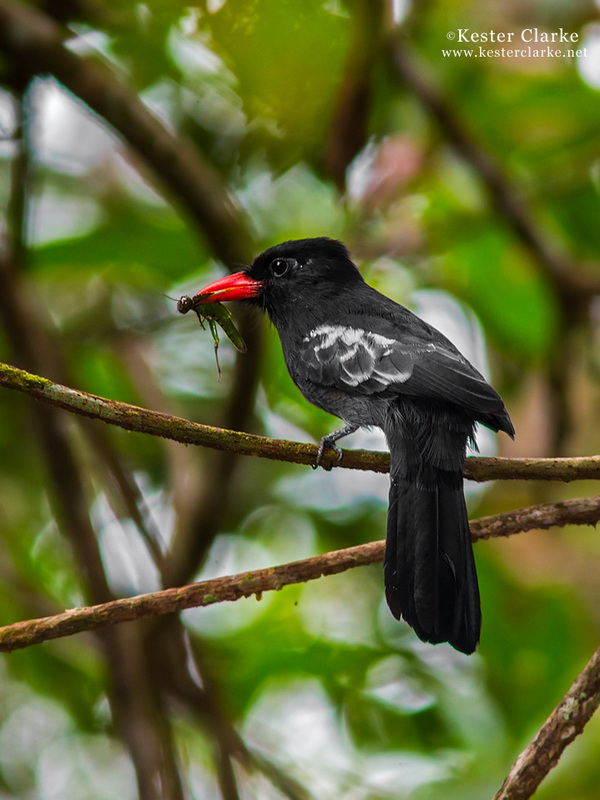 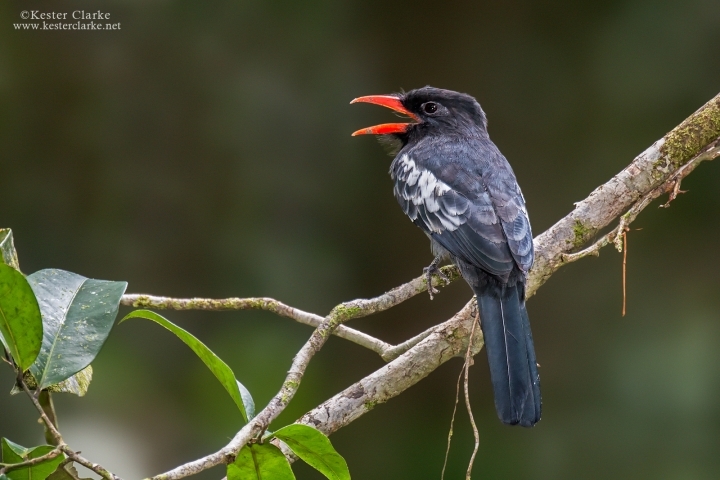 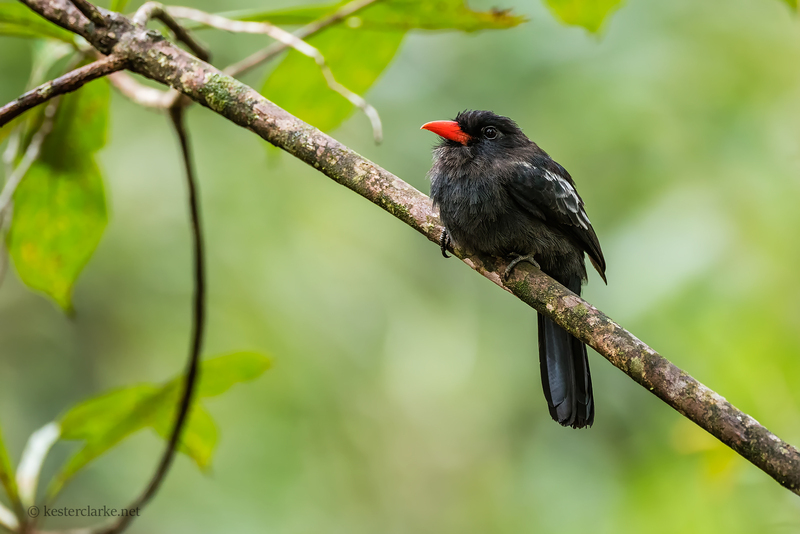 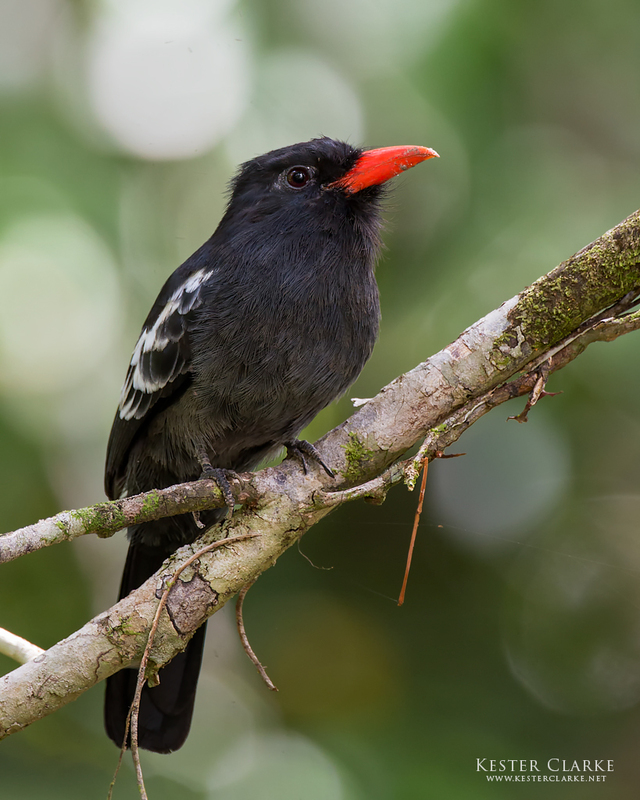 Black Nunbird (Monasa atra) perched on a branch in Rockstone, Guyana. 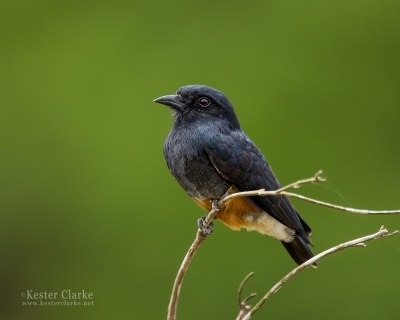 The sand on the bright orange bill was from the burrow that was being dug into the side of the creek bank below this perch. 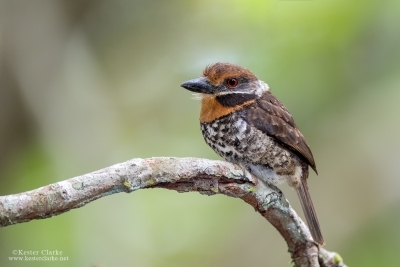 Photographed in Rockstone, Guyana. 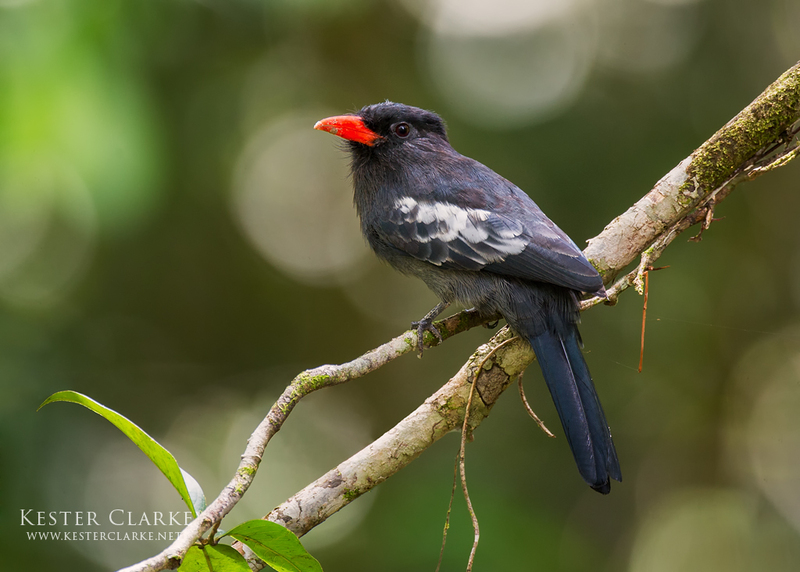 Black Nunbird (Monasa atra) perched in Rockstone, Guyana.